He wants a break. She wants a ring. Love stands on shaky ground. Susie Williams yearns for a romantic wedding with her boyfriend of five years. Reggie Barker runs from demands to marry any woman, including Susie. 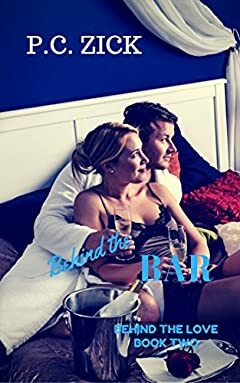 Behind the BarÂ is the second novel in the Behind the Love contemporary romance series, but it is also a stand-alone romance. Once you read one novel in this series, you'll want to learn more about the romances that feature sizzling attractions, dramatic confrontations, and intertwined and complicated lives. Set in the fictional small town of Victory, Florida, friends fight and love and form families of their own choosing. BuyÂ Behind the BarÂ to read stories about irresistible characters with passion.